Harsh words from our pretty female lead to her childish ex-boyfriend! Fangsi has had enough of Li Tang and his immaturity. Pro-Tang momma is just telling her daughter to be more patient with him but if I were Fangsi, I would’ve had enough already too! 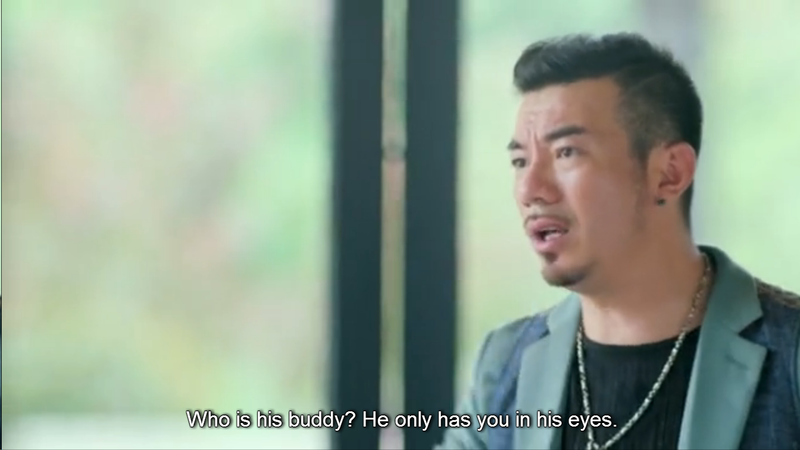 So Fangsi and Da Luo went to Tang’s house and they just saw traces of his things (phone, clothes, etc). 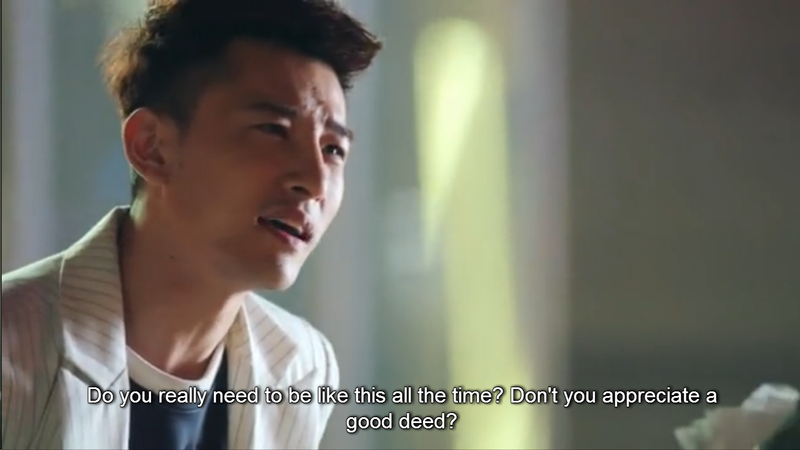 She got mad at Da Luo for not being a responsible buddy but I actually agree with his reply to her. 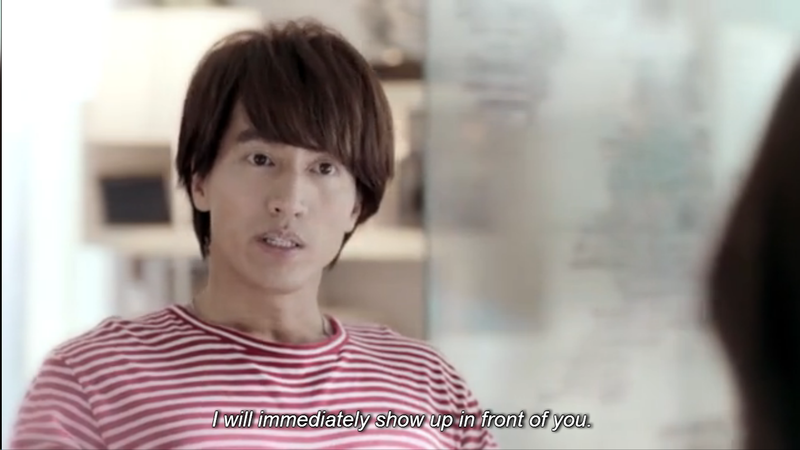 Da Luo delegated the task of being the acting manager of Tang Huang while he leaves to find Tang. He gave her all the company’s passwords on a paper. If I’m not mistaken, Fangsi likened her feelings for Tang to a black coffee. She knows that it’s bitter and acidic but she still goes ahead and drinks it. 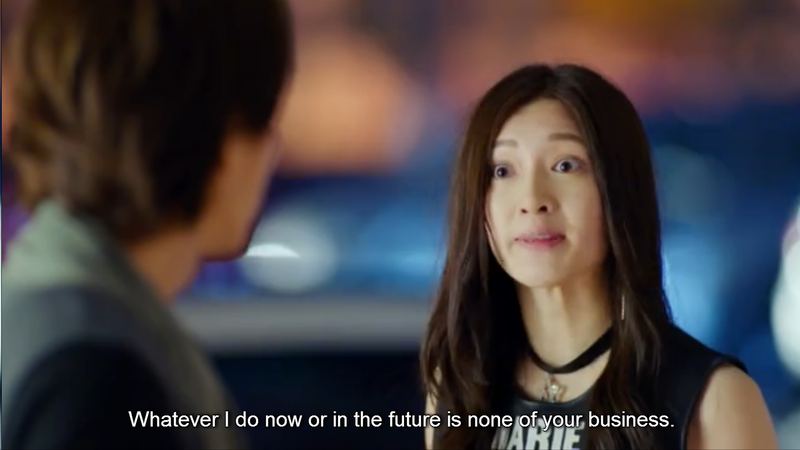 Fangsi’s literally doing everything for Tang Huang including the thing that she hates the most: attending parties/cocktails because she hates small talks. Haha! 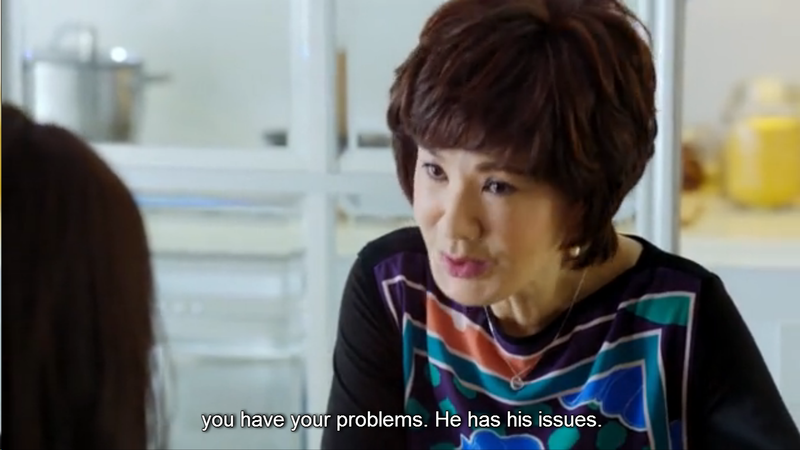 Fangsi’s momma has so much faith in Tang being the pro-Tang that she is! 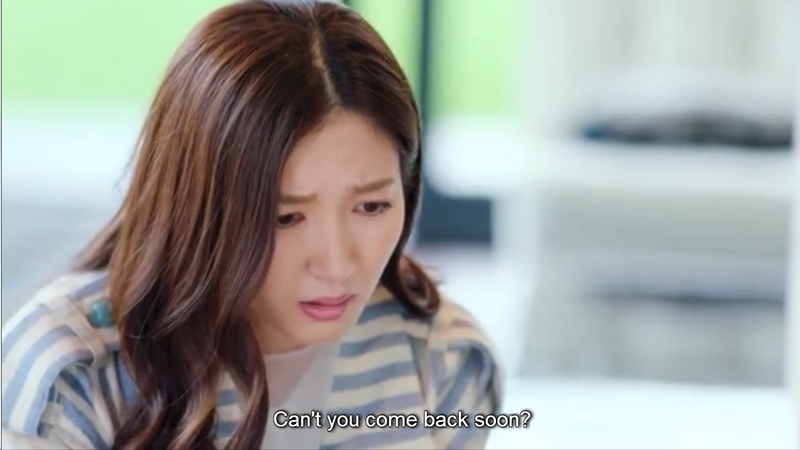 She believes that he’s going to come back because he also came back even after 6 years so he better not disappoint her. Now that she remembered, she actually imagined Haoran was Tang. Trust me, my heart was just squealing because of joy. 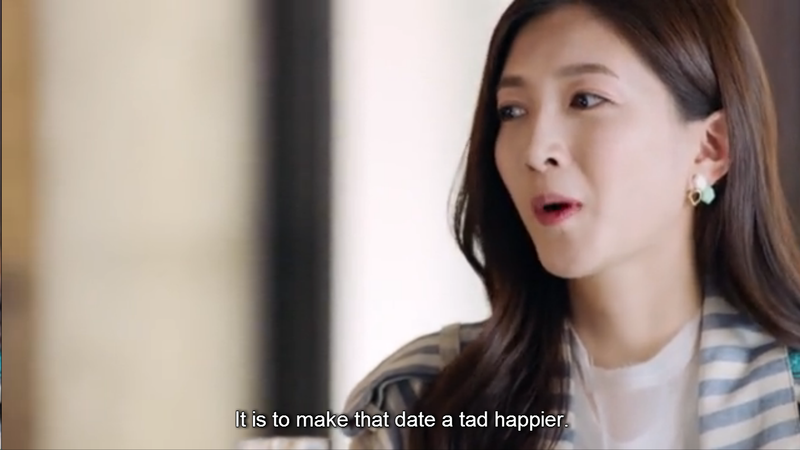 Bad news, Haoran, she didn’t really learn from you… haha! 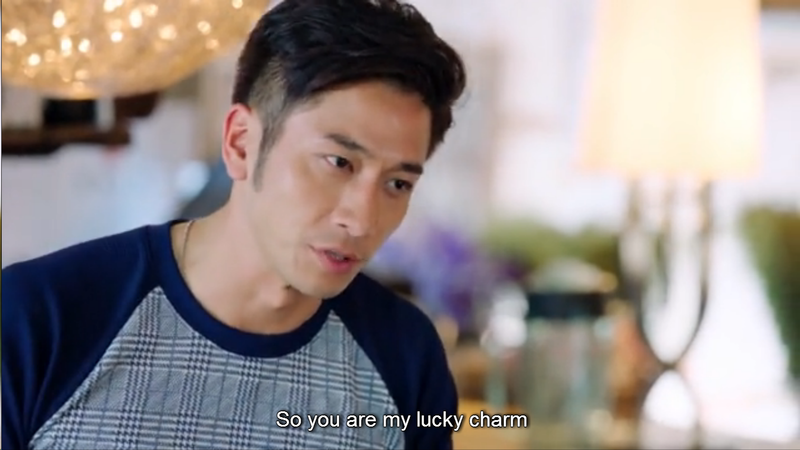 Fangsi’s obviously missing Tang’s presence by just staring at their love token. 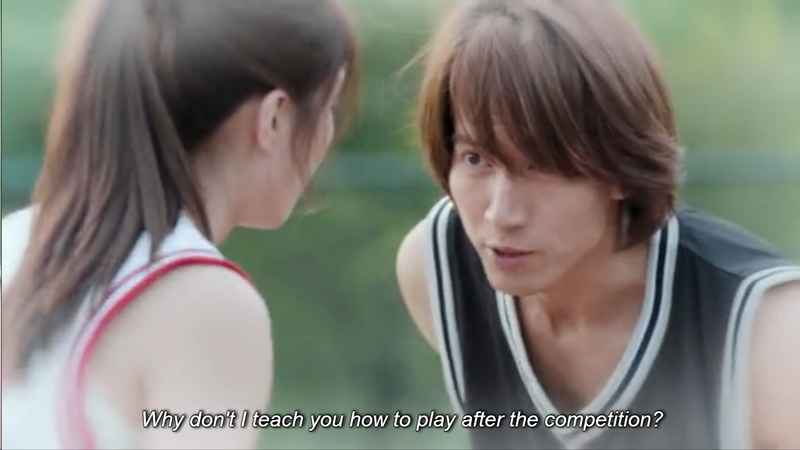 Flashback scene: I actually found it strange as well that Fangsi was the only girl in the competition during their college days haha! 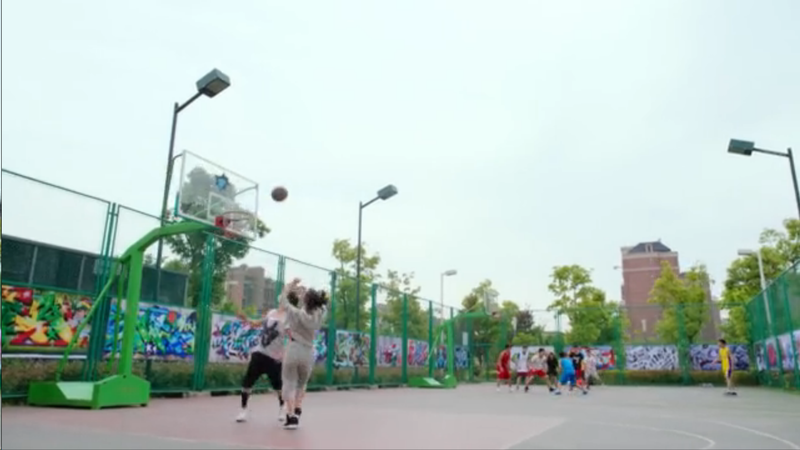 No surprise that there was a basketball scene as most of Jerry’s works had him playing basketball. 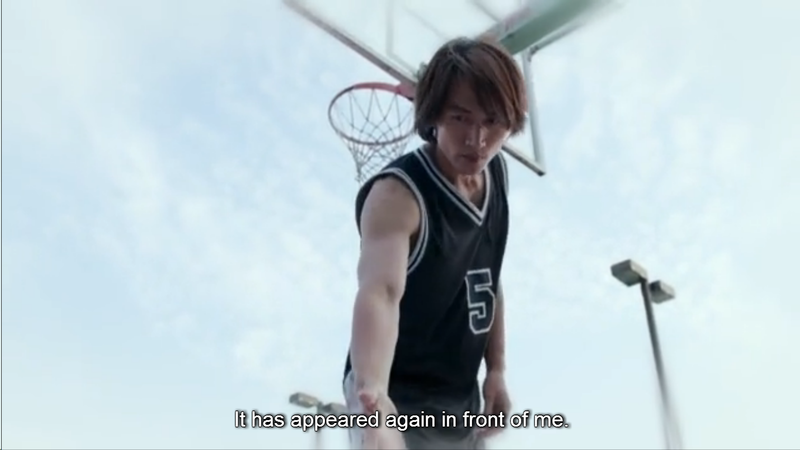 Although I’m not sure if it’s merely coincidental but he even starred in a basketball 2008 TW-drama “Hot Shot”. It’s also one of his favorite sports so trust him to do his own stunts when it’s basketball 😉 okay I’m spouting fangirling nonsense again haha! So they actually met in a basketball match?! That was totally unexpected! 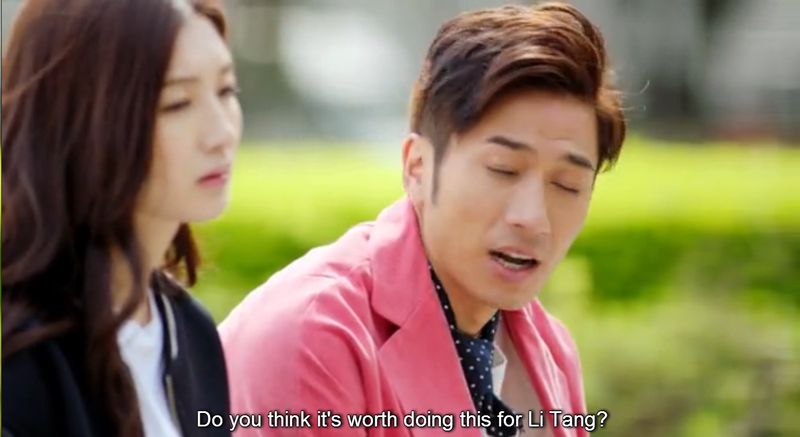 Oh Li Tang, Fangsi’s begging you to stay out of her head please! but if you could come back, then that would be much better! I love that she said this statement so many times in this episode alone. It gave me so much feels! Really shows how much she believes in him when no else doesn’t anymore. I should’ve started calling Xiao Nai, Du Niang, and Jiaxin as Gossip Girls earlier on but let me just use it starting now haha! So the Gossip Girls are celebrating because supermodel Su’s actually going to wear white for the first time ever and it’s for Tang Huang. They congratulated Fangsi for turning an almost bad news to good news. Then she remembered that it was her beloved Tang who helped her in handling the Su-white clothing issues matter. She said that she actually doesn’t know how she’ll be able to survive without Tang because he’s the one who’s been making her dreams come true (*my heart*). So it turns out that Li Tang’s house password is not his birthday, not Xiangnan’s, and not even Fangsi’s! 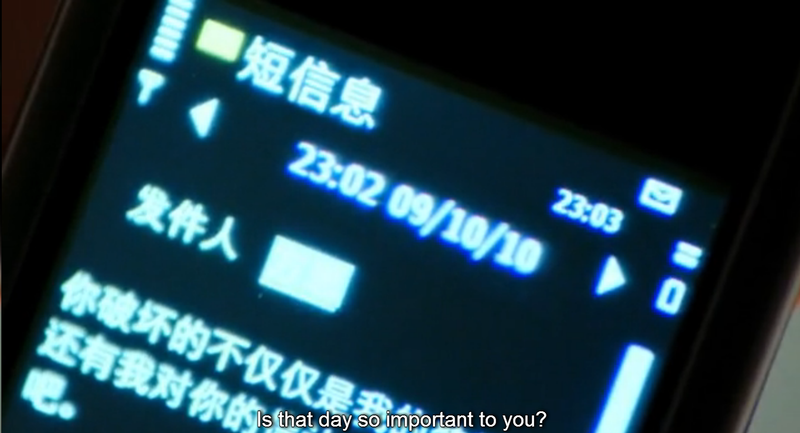 It’s actually the date when him and Fangsi broke up… I don’t even know why someone would use a break-up date as a password when it’s a reminder of a sad/heart-breaking past but ohwell, our Tang may have his own reasons. 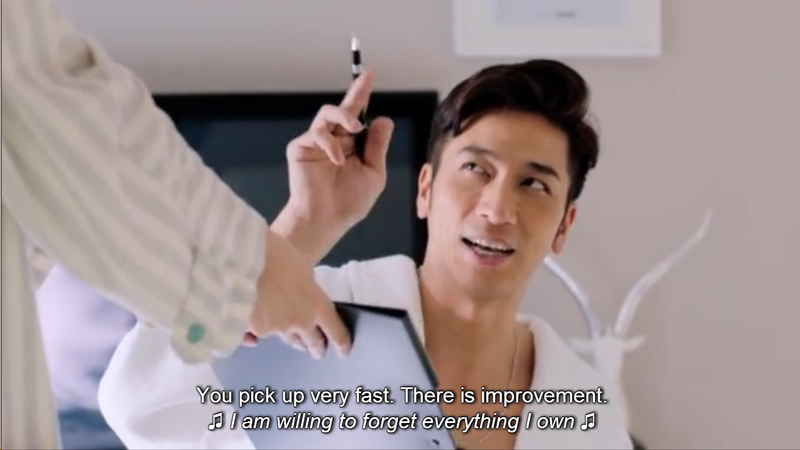 Fangsi went inside Tang’s house and tidied up his things (which he usually does for her). 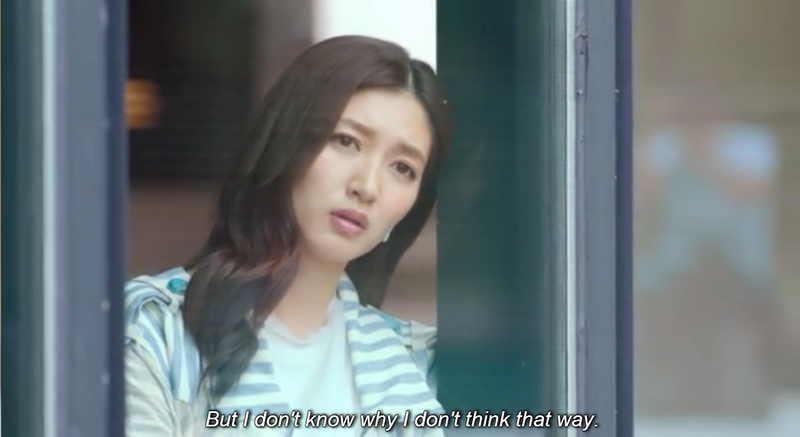 She said that even if both Da Luo and Haoran don’t think that he’s coming back, she still thinks otherwise. 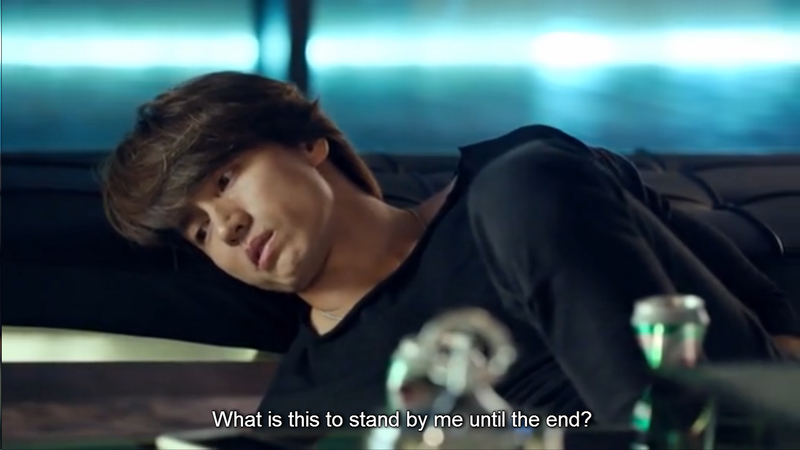 and this scene really touched me! 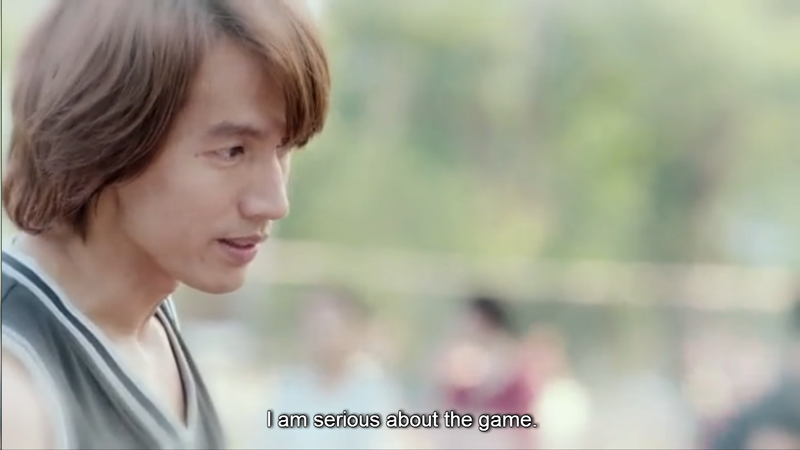 Okay fine, you may say that anything that has to do with Tang-Fangsi touches my heart but it just really does… haha! 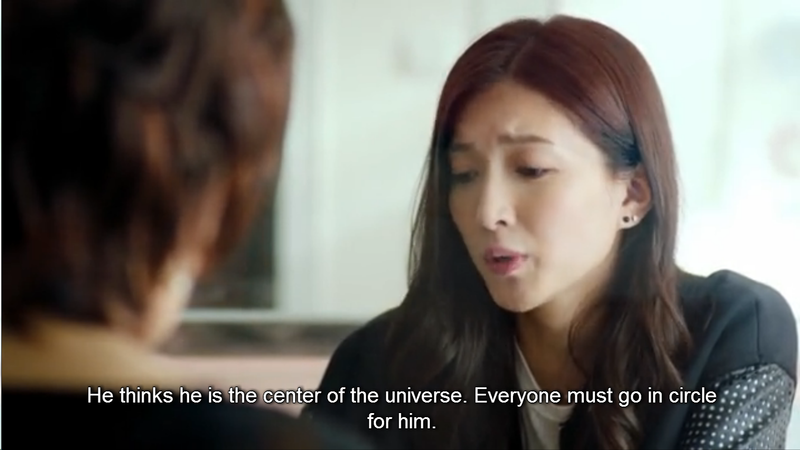 She said that she would always think of Li Tang no matter how she feels, whether she’s happy or not. then there we have the cliche I will talk to a picture of you since you’re not in front of me kind of drama scene… I have actually never seen anyone do this (or maybe you do?!) but all is forgiven because this is a rare Fangsi scene! 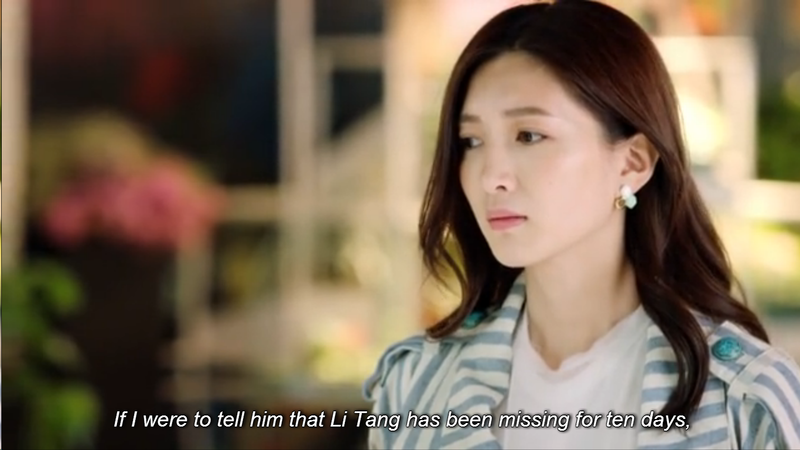 Fangsi wanted to tell Mr. Li that Tang has been missing even if she was quite hesitant too because it wouldn’t lead to a good outcome. 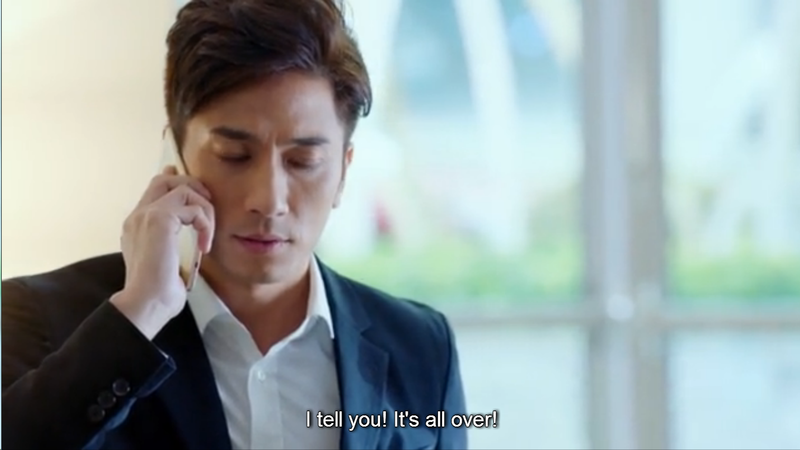 When she finally got to talk to him, all he did was to praise her and Tang for doing a good job in overcoming the problems regarding Cui Can. 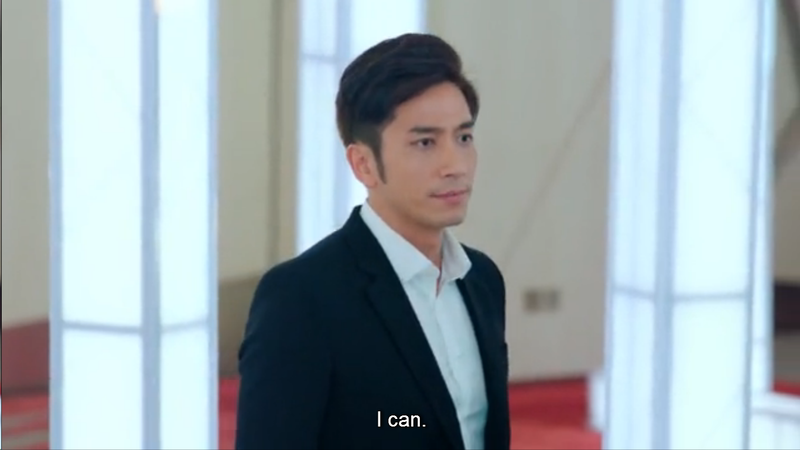 Haoran tells Fangsi that he might be part of the board of directors of Qiao Ruisi. Yay! We get a small scene of our newest ship on board, Xiao Nai and Benjamin! 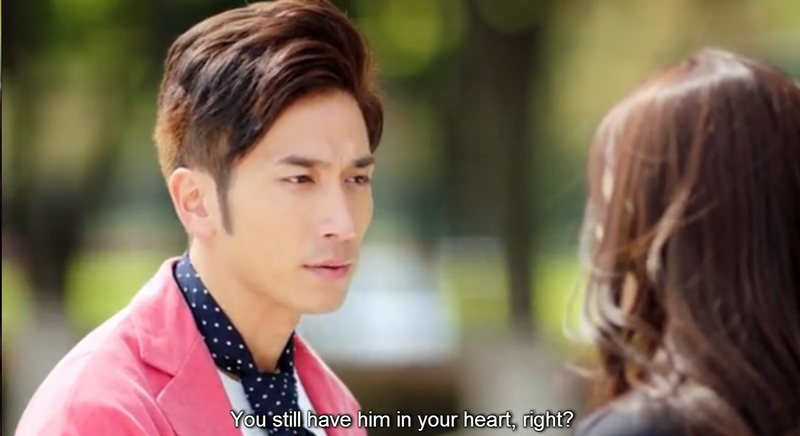 He gets mad at her for being snobbish and cold just like her boss Fangsi when he was actually willing to help her. Cuties! I just had to screencap this because Jiaxin’s s’s such an adorable gossip girl! They were talking about the many rumors that the media has made up just to answer why Da Luo and Tang have been missing. See, Benjamin! Haoran’s really going to speed things up with Fangsi 😉 He’s been preparing for tonight’s celebration with Fangsi. 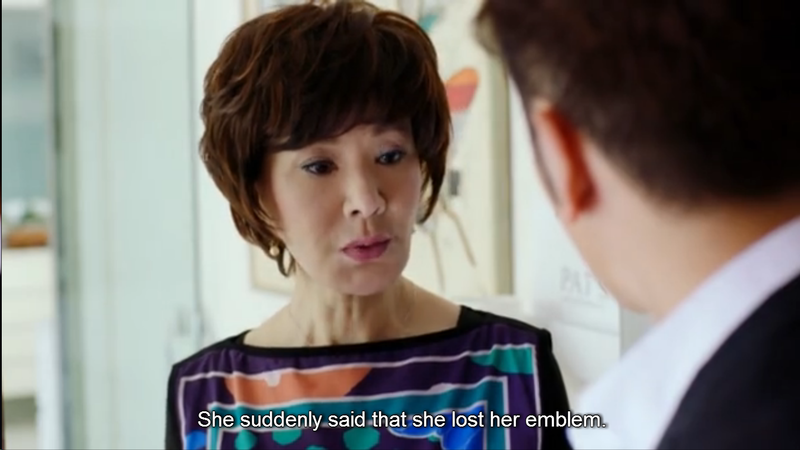 The fact that Fangsi wore Tang’s love token for her already killed me… why would you do that?! 😥 it will definitely act as her lucky charm for today’s press conference! but I spoke too soon because the people have gone wild… never imagined that the media invited to a presscon like this could be so immature and insensitive! He just lost his chance to be the chairman of the board… Love can really make you act beyond crazy! Fangsi’s momma probably tried to tell Haoran that Fangsi still has feelings for Tang but Haoran didn’t want to hear that of course so he just left right away. Just like my heart now… 😦 but at least she found it! Our Fangsi’s definitely not in the mood to celebrate. This is all your fault, Tang! 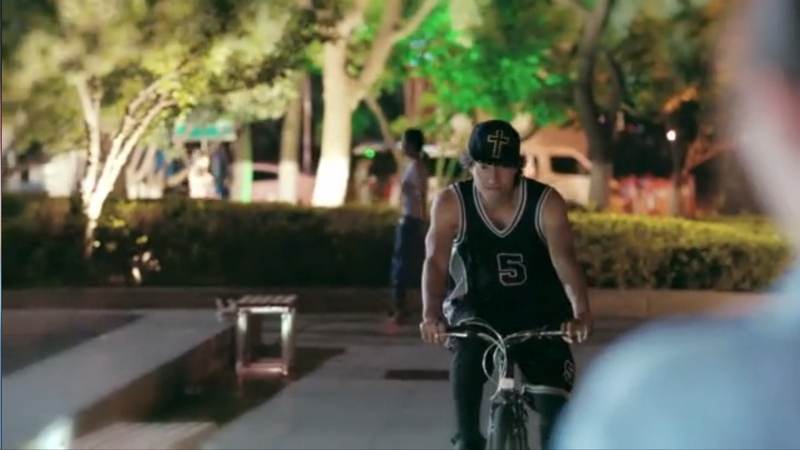 Haoran wants to find where Fangsi is but Xiao Nai couldn’t help him so he tried to search all the possible places that Fangsi could go to. 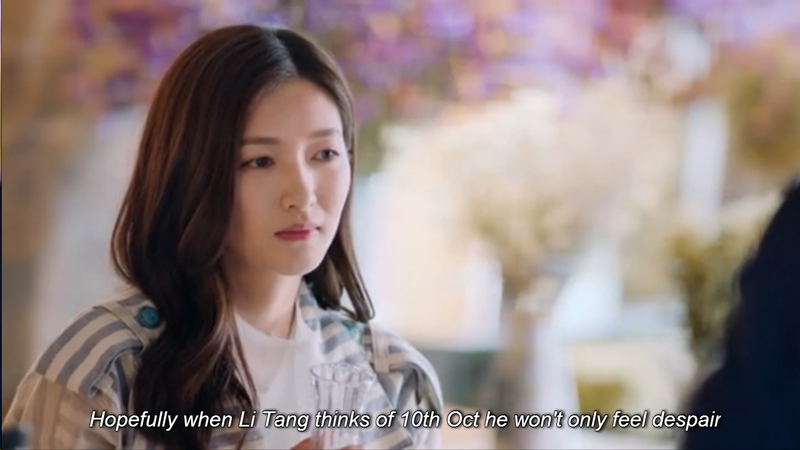 Fangsi wanted Tang to see what she did today because she’s sure that he would be so happy and that the date today would give him better memories to remember now. 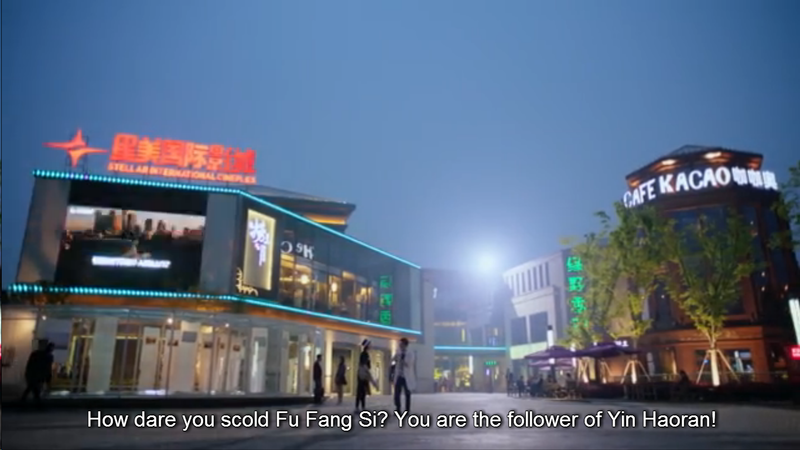 Fangsi goes to the place where she and Tang usually meet up for dates years ago. 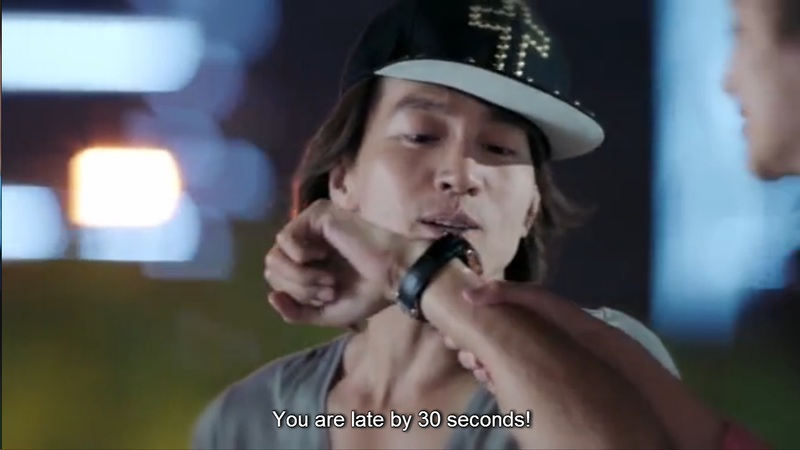 Flashback scene: our Tang was always late! They are just too adorable for my life! 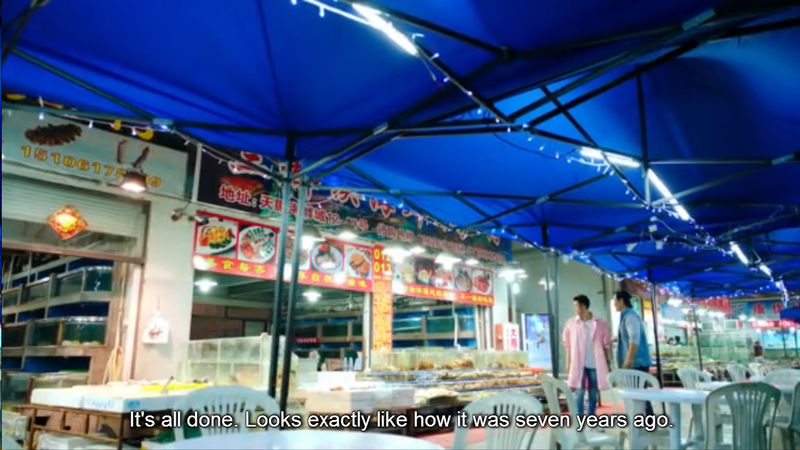 I especially love their happier flashback scenes. *more tears*. Thank you for disappearing, Li Tang! or Fangsi would’ve never realized these things. It’s going to be a difficult task, Mr. Yin! 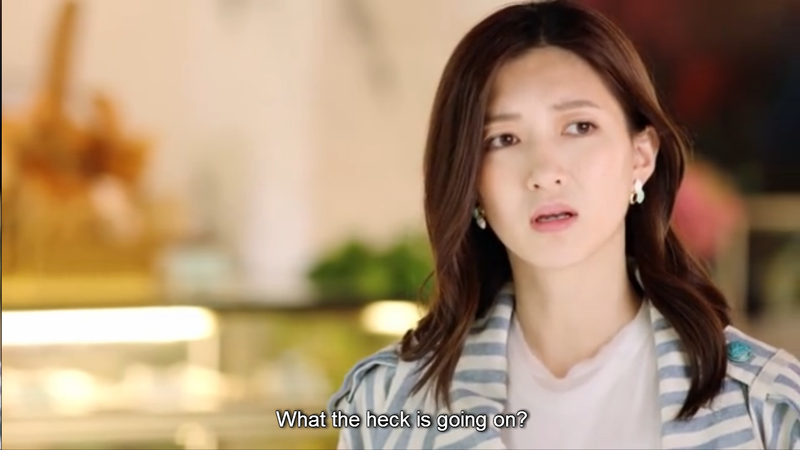 We end this episode with a preview that I wish I didn’t watch because I still have so many things to do but now I’m going crazy because I want to watch the next episodes so badly already! Li Tang, where are you?? I love that they finally showed Fangsi crying! It would be too unrealistic if she actually never showed her weakness but portrayed her as a tough cookie all the way. Sometimes, a person can only handle too much but life must still go on. 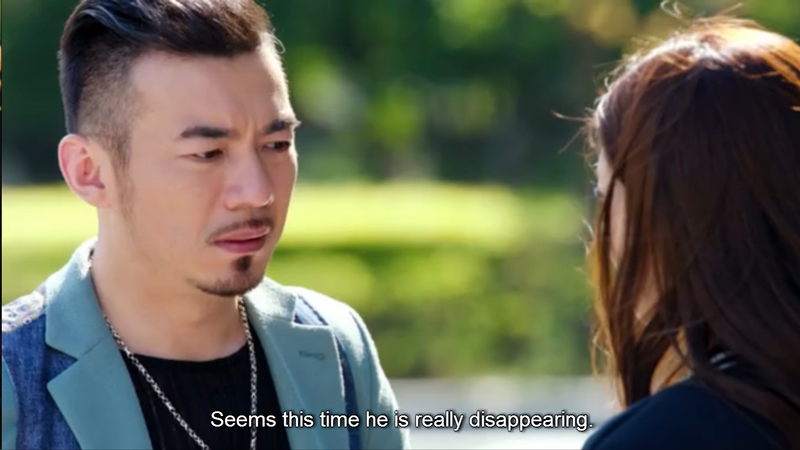 Even if I have said it explicitly that I love Tang and Fangsi so much, I just hate Tang for disappearing again when he clearly said before that he would never disappear again. However, Fangsi’s flashbacks/imagination of Tang just gave me so much feels. It just goes to show that she cares so much about him in which we’ve actually never seen in the previous episodes! 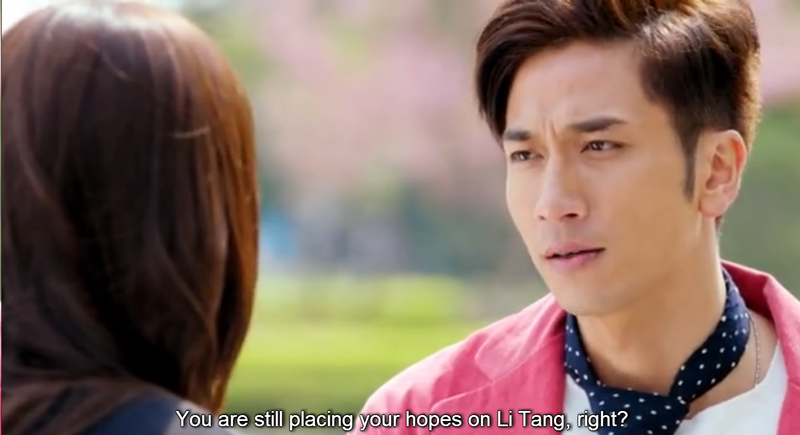 “You don’t know what you got ’til it’s gone” is just so applicable for Fangsi about Tang! When she kept saying that she trusts and believes in him that he’ll come back, it just touched my heart so much! Okay I’ll stop spazzing about my ship now (it’s really hard, okay haha!). I’ll stop talking about my Tang-Fangsi ship because we have a new ship right here, Benjamin and Xiao Nai! I’m right on board, haha! So what did you think of today’s episodes?? 😀 Please tell me by commenting below! Love reading your recaps & comments. Yup, a new ship is born! And like you, I’m boarding on it too!